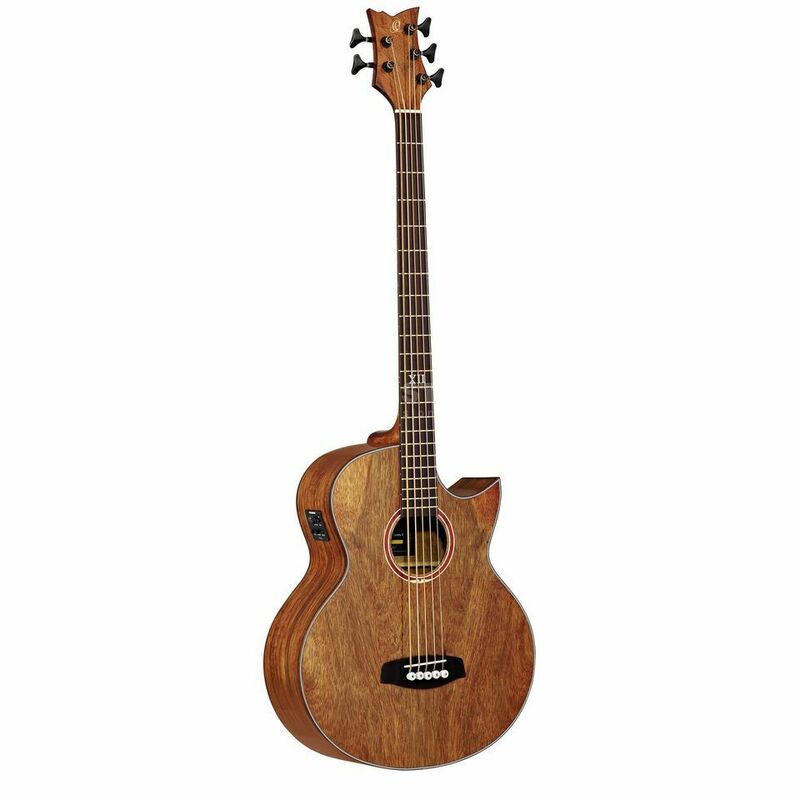 The Ortega D-3C-5 34" Electro-Acoustic Bass Guitar is a unique instrument and features a high figured Dao wood with a Florentine cutaway. A mahogany longscale neck with a Rosewood fingerboard offers excellent playability and a consistently high standard of resonance. The tone can be further amplified via a Fishman Isys+ pickup/preamp system. The D-3C-4 comes with a simple natural high gloss finish complimenting the shade of wood used within the instrument’s construction. Also included are a leather strap and a gigbag.